IsoTek acquired by Blue Horizon Ideas Ltd. | What Hi-Fi? IsoTek acquired by Blue Horizon Ideas Ltd. The brand is now under the ownership of Blue Horizon Ideas Ltd., the managing director of which is Keith Martin, a principal founder of IsoTek. Commenting on the acquisition, Martin said: "IsoTek is a brand with a proven pedigree and has always been close to my heart. We have reassembled IsoTek's classic design team and brought in new investors. We have exciting plans for IsoTek in the years to come and look forward to a bright and profitable future." 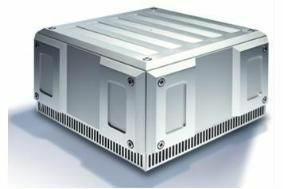 IsoTek's current product range will continue in its entirety, to be joined by a number of new components in 2009. The brand will continue to be distributed worldwide via its established distributors, with the addition of a new distributor in the UK: Sound Fowndations Ltd.
Sound Fowndations Ltd will also be responsible for the UK distribution of audio components and accessories produced under the Blue Horizon brand, the first of which is due in March 2009.